Ported the game to Unity 5. Features of Unity 5 and other optimizations have improved the performance of the game. The physics engine in Unity 5 works differently than in 4, so we had to make many changes to how things behave with the environment. Some things might still need updating. Remade enemy AI for large zombies / monsters and updated normal zombies. 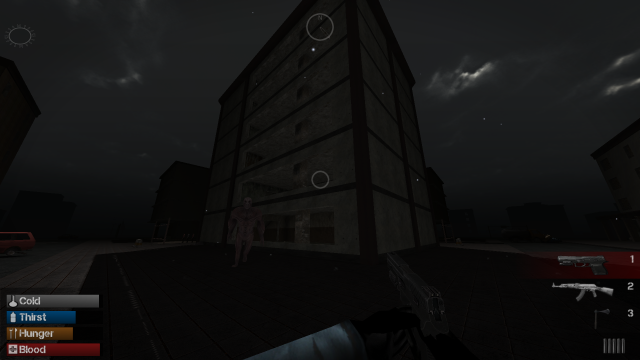 Now the large zombies are much better in navigation through the environment. Replaced the last old house type to a brand new one. Now all basic houses have the new generation system. 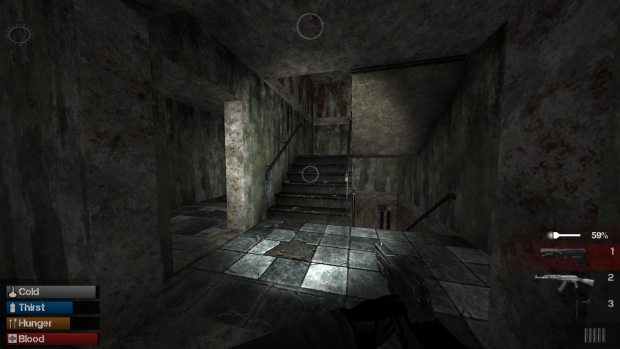 Remade all stairs with new models and collisions, because of the new physics engine and for better details. Updated many textures including things like walls. Updated ground with new textures & collision. Sidewalk textures are now scaled properly. Fixed inventory problems with backpack. Crafting requirement checking is now properly updated after crafting an object. Crafting now takes time and is shown with an indicator. Added an empty clip sound. Fixed interacting delay and added a clear interaction indicator. Smoothed day and night transition. Players own body clipping fixed.